Friendships are a funny thing, as hard to define and yet as defining as romantic love, but often overlooked in favour of that other relationship status. An underestimated piece of our identity, new friendships rarely making it past the acquaintance stage in adulthood as we stick to who and what we know. But deeper connections are occasionally formed and this album of duets from Darren Hayman (Hefner) and Emma Kupa (Standard Fare, Mammoth Penguins) charts the making of one of them, it is in their words, the ‘sound of a friendship being made’. Neither half of the partnership will need an introduction for anyone who has had their ears in the indie underground in the last couple of decades, both prolific and creative songwriters as solo artists and with their bands. Aware of each other’s work it was when Hayman asked Kupa to sing on his track ‘Boy, Look At What You Can’t Have Now’ that the idea of a duets album came up. The intimacy of the writing process – done over a series of weekend sessions at each of their homes – the shared honesty in the subjects, and the creative dance of working out how to co-write to each others styles and strengths led to the deepening bond of friendship. They added Michael Wood (Whoa Melodic/Singing Adams) on bass and Cat Loye (Fever Dream) on drums for the band sound but the album is very much the charting of the friendship and creativity between Hayman and Kupa. From opener ‘Let’s Do Nothing’ the classic male/female duet structure is there, with call and response vocals, a conversation, an externalisation of inner thoughts. Quivering vocals, warm bass lines and clipped beats, trembling guitars as the tempo seems to pull against the reluctance in the lyric. There’s more of an edge in the sound of ‘Red Petal’, the gentle bite of guitar and more layered vocals filling out the space deliberately left elsewhere. ‘Do You Know’ juxtaposes a slower beat and clunkier melody, with the thrilling heart-swell of love expressed in the words. On ‘Tent of Blankets’, a ‘60s pop sound shines through, with echoey harmonies and bright guitars. Soaring, this is a near-perfect moment laden with the longing for love and the joy of friendship found. That vibe continues on ‘Pretty Waste of Time’ as more prevalent percussion give this a country feel. Kupa puts in a her most vulnerable vocal on ‘Reach Out’, half spoken in parts, over a repeating acoustic refrain. It hangs in the mind even as the more upbeat pop sound returns for closer ‘Then We Kissed’, the he-said she-said alternating vocals back along with the rock-n-roll rhythms. While it might be that burgeoning friendship underpinning the record the songs lean far more toward the thrill, the longing, and the heartbreak of romantic love. Sweet and beautiful, this is a tender album but one which is also emotionally raw in parts, the melody soothes while words cut deep. This is as fine an indiepop record as you would hope for from the pairing, with vintage undertones it is a gorgeous and honest reflection on love in many forms. The Hayman Kupa Band is out now via Fika Recordings digitally, and on LP and CD. 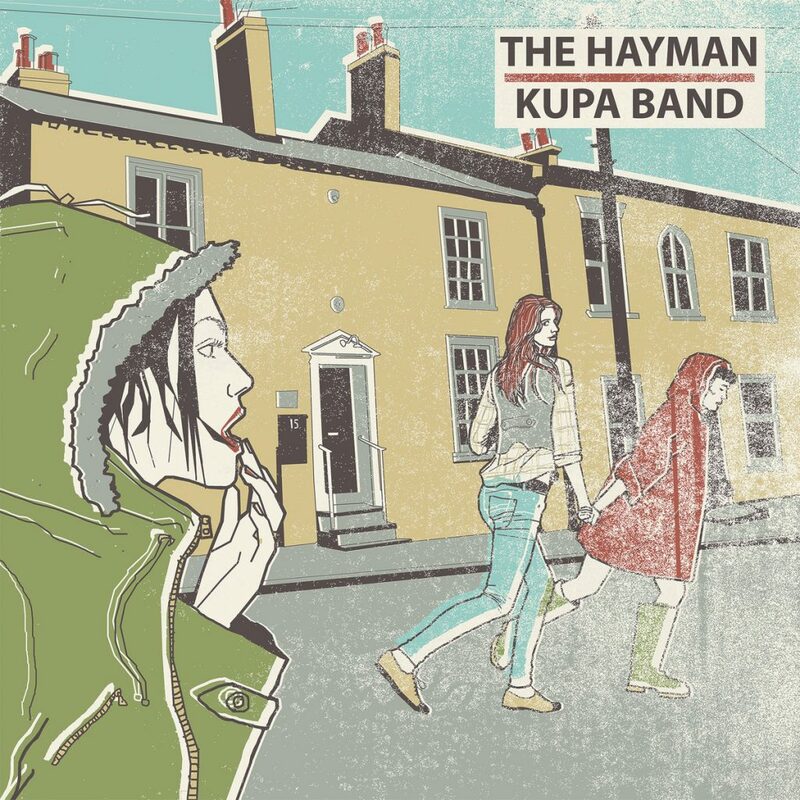 It is available from their Bandcamp – http://shop.fikarecordings.com/album/the-hayman-kupa-band. The band perform at Indietracks Festival on Saturday 29 July, and will be in-conversation in the workshop tent with Sarah Lay and Pete Darrington ahead of the performance.